In March this year the influential Brotherhood of St Laurence (BSL) published a paper on youth unemployment, principally addressed to the Australian government. The BSL has strong credentials to address the issue having researched trends in employment and unemployment for decades and having either initiated or adapted many very creative work and education programs for younger people in metropolitan and regional Victoria. The evidence presented in the BSL paper showed that "more than one in three unemployed Australians looking for work are under 25 years- a total of 235, 657 persons approximately 40% of unemployed people in Australia. The paper showed that under-employment is also growing with over a quarter of employed 15-24 year olds reporting that they want more hours of work or more regular patterns of work". With unemployment rising steadily over the last two years the trends have been especially impacting disadvantaged younger people and especially in urban regions experiencing a decline in manufacturing or in rural areas lacking diversity in employment opportunities. Given the transformation of the Australian economy in recent decades, the future of vocational education must be a central issue for governments. In considering youth unemployment it is also important to overlay the changing character of employment with high rates of part time and casual work along with the much more problematic transition of younger people from increasingly extended education to a settled occupation. An over emphasis on the economy may mean giving insufficient weight to the developmental processes important for younger people in forming their identities, establishing more permanent relationships and settling down. For younger people it is not just a matter of any job, as work experience will be an important influence on building secure relationships. Tony Nicholson, the CEO of the BSL, told the ABC’s AM program in September that "if you add the unemployed to those who are underemployed, you find that 580,000 young people are really struggling to get a foothold in the world of work". expand the youth foyer program for the homeless and introduce wage subsidy programs that encourage employers to invest in their younger employees. The BSL has clearly played an important role both in putting the issue of work for younger people on the agenda and suggesting some ways forward and it is encouraging that some of these ideas have been included in the election platforms of the main parties. In the platform of the Coalition, Premier Napthine has offered $75 million for a youth employment strategy, providing a modest subsidy of $2000 plus tax concessions for employers willing to take on a young person who has been unemployed for more than six months. The Coalition also offers rebates to employers that are designed to reduce the risks employers might face in adding the unemployed to their workforce. There is an also a boost for Skills training in TAFE and a commitment to the ongoing reform of the vocational educational sector. Premier Napthine has also promised major investment in infrastructure that he claims will provide more jobs for young Victorians. ALP leader Dan Andrews has a rather more ambitious proposal in his election platform in offering to’ provide payroll tax rebates and credits through a $100 million fund for companies hiring unemployed youth, the long term unemployed and retrenched workers in full time work’. This targeted assistance is part of a broader Victorian jobs policy that would bring industry together to plan investment of a billion dollars focused on overall industrial priorities together with spending in regions and on sunrise industries. Within this broader context Labor plans to increase spending on TAFE and to reopen a number of TAFE campuses closed by the Coalition government. It will also reverse policies of successive governments and open technical schools especially in regional areas. It will restore funding to Local Leaning and Employment Networks that have provided broader support to younger people on a regional basis and which would otherwise be phased out from December this year. The higher risks associated with employment for younger people are obvious in the now high rates of unemployment together with under employment. Both major parties emphasise in their polices some of the key elements in the BSL analysis. In the on-coming debate, there will be promises of more expansionary infrastructure spending likely to stimulate employment with the ALP emphasizing more public transport and the Coalition more roads. There will be a stronger focus on employer subsidies and incentives to take on the young unemployed. It seems that the ALP has a stronger commitment to TAFE than the Coalition but both parties have shifted from TAFE towards increased funding of vocational education through an increasingly diverse sector of private providers. Given the transformation of the Australian economy in recent decades, the future of vocational education must be a central issue for governments. Professor John Polesel, in reviewing the history of vocational education in Australia in his recent Keating Lecture, saw this as an unresolved issue at the beginning of the twentieth century and now again in the early years of twenty first century. Indeed, it is my view that the failure to address this fundamental issue has led to the erosion of public funds without a strong sense of policy and purpose and must be a strong factor in the marginalization of hundreds of thousands of young people currently unemployed or under employed in Australia. However in the to and fro of political debate there are only echoes of the transformation that has been taking place in the Victorian/Australian economy over the past thirty years and the impacts of this transformation on employment, education and the nature of social relations. The reality is that the new economy provides its own special set of challenges to younger people who are now expected to spend longer in education (often not sensitive to employment futures) ,who increasingly pay more for their education and pay an even higher price if they fail to achieve high educational standards with few second chances. Younger people find the process of settling down problematic with delayed partnering and while paying off past debts and saving for expensive housing etc. The higher risks associated with employment for younger people are obvious in the now high rates of unemployment together with under employment. The winding back of TAFE and the marketisation of vocational education may not be the sole cause of unemployment for younger people but our failure to think through key policy directions for vocational education is shifting the risks on to younger people. People are losing faith in politics because they are not sure that politicians are really thinking about what the long-term future for our younger people will be. 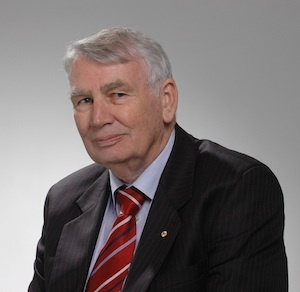 Brian Howe is a Professorial Fellow in the School of Government at Melbourne University. A former Minister and Deputy Prime Minister in the Hawke and Keating governments he has been long interested in social policy. He has recently lead enquiries into insecure work for the ACTU and on the strategic planning of capital cities for the COAG Reform Council. He is a member of the Board of the John Cain Foundation launched by Melbourne University Vice Chancellor, Glyn Davis in September this year.